With the dignity of his people, the Native American Chief stands proud as a hero in the face of oppression. 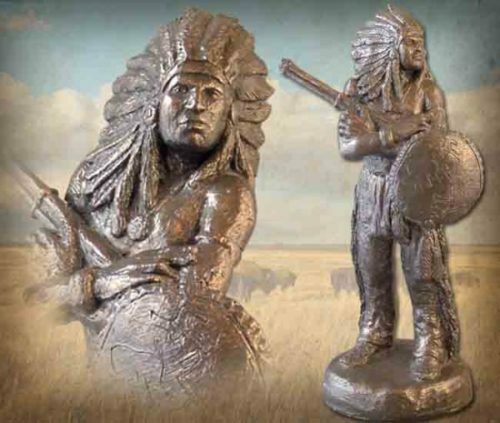 This handmade sculpture by Michael Garman honors this hero of American Wild West. 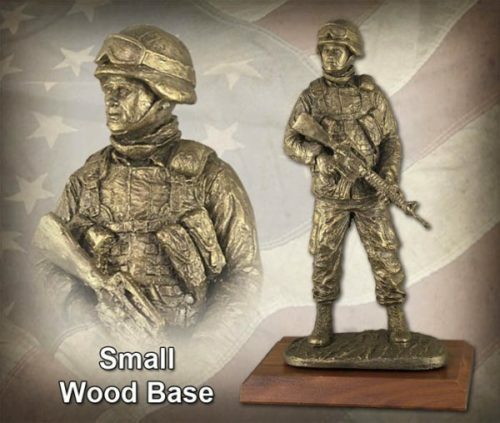 Sculpture measures 9.25″ tall. ©1991. Bronzetone finish. #MG048. 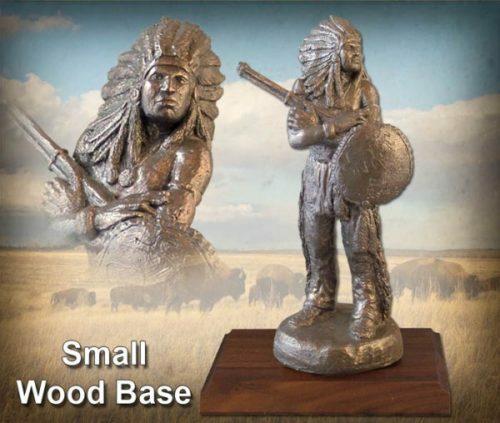 Upgrade your sculpture with a small wood base. See suggested wood base options below.